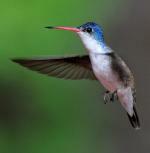 Xantus's Hummingbird: Rare to accidental in southern half of the peninsula of Baja California. Normally found in Mexico (Purissima south to San Jose del Cabo). Preferred habitats include arid to semiarid scrub, open brushy forests, and gardens. 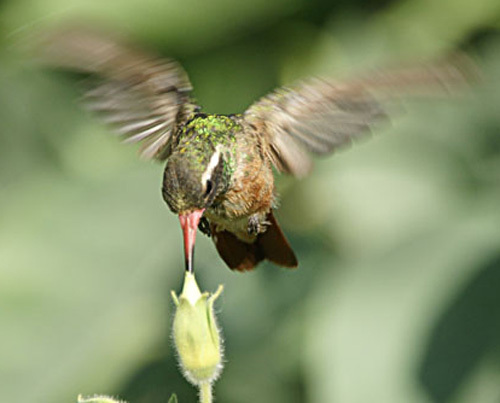 The Xantus's Hummingbird was named after John Xantus de Vesey, a Hungarian zoologist. It has been recorded as a vagrant up the Pacific coast of North America to British Columbia in Canada. A group of hummingbirds has many collective nouns, including a “bouquet", "glittering", "hover", "shimmer", and "tune” of hummingbirds.